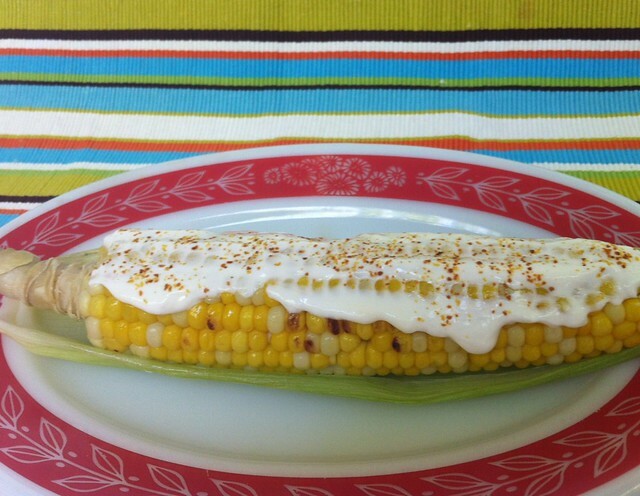 Hey hey hey – I made elote! Well, elote just means “corn on the cob” but I was going for the Mexican street cart style. It came out pretty well and even hubby was convinced that mayo on corn tastes good. I’ve only had it in Mexico and my cousins introduced me to it in Mexico City. When we got corn in our CSA this week, I thought it was the perfect opportunity to give it a try at home. Espazote to cook with the corn and cojita cheese to put on top. The other ingredients are mayo, butter, chile powder, and lime. 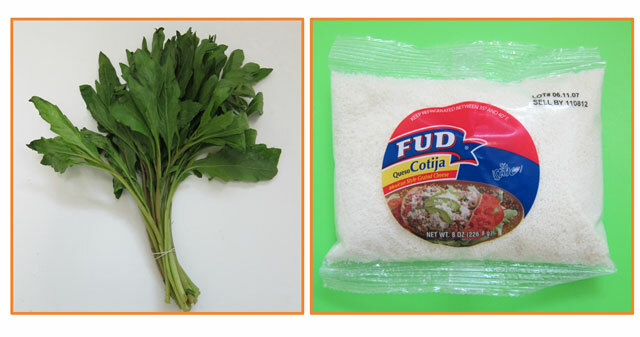 I’ve seen recipes that don’t use espazote in the water and use parmesan cheese instead of cojita. I had access to both so I just went ahead and purchased them. This is another one of those non-recipes because you just throw it together. First parboil the corn in water with espazote sprigs then grill (you can skip the grilling if you want), while the corn is still hot butter it then slather it with mayo, next sprinkle with cheese and finally add the chile powder and a squeeze of lime. Notice anything funny about the picture at the top? Yup I was so worried about the light and getting the colors right that I forgot to add the cheese for the photoshoot. doh! I took one bite and realized my mistake and added the cheese then. Oh well. I’ll just have to make it again some time.